Gazi… Hits and Misses | 15,000kms of Food! Had a catch up with my mates at Gazi a few weeks ago. I’m not a big fan of George Calombaris, but I did love Press Club and Little Press. So, I had mixed feelings going into this one. We started with dips – “cauliflower skordalia, smoked almonds, crispy pork mince“, “beetroot and feta” and “corn and chicken skin“. This was the highlight of dinner for me. The dips were all super tasty, and the bread that came with it was perfect. We had a few things (sorry, no pics!) such as “grilled prawns” from the wood fire grill (look hard at the pic below and there’s one at the back) and “lamb cutlets” which were really great. 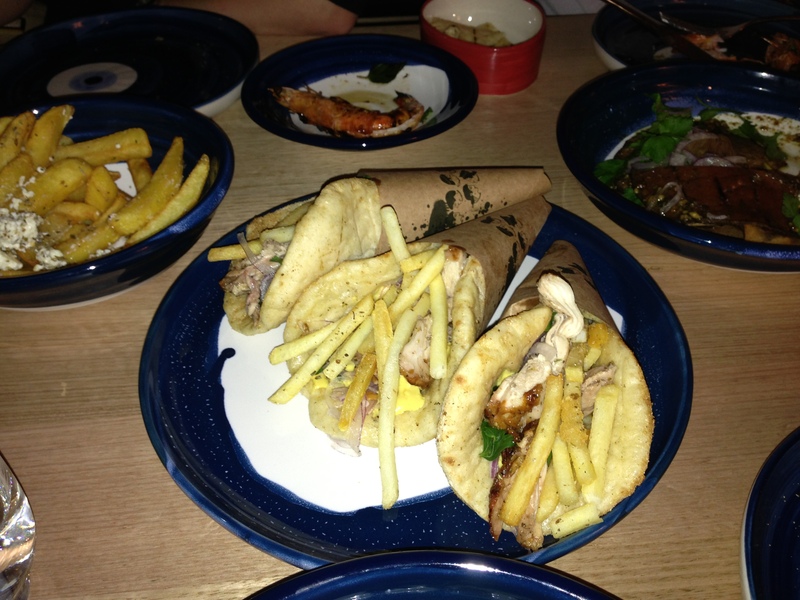 The “chicken souvlakakia” was as good as to be expected of a upmarket souvlaki. We had two sides – chips and mushrooms. Chips were chips dressed up with oregano and feta cheese. Mushrooms was awful. Seriously, it was so bad, none of us touched our portions. Something about the consistency (slimy and spongy). 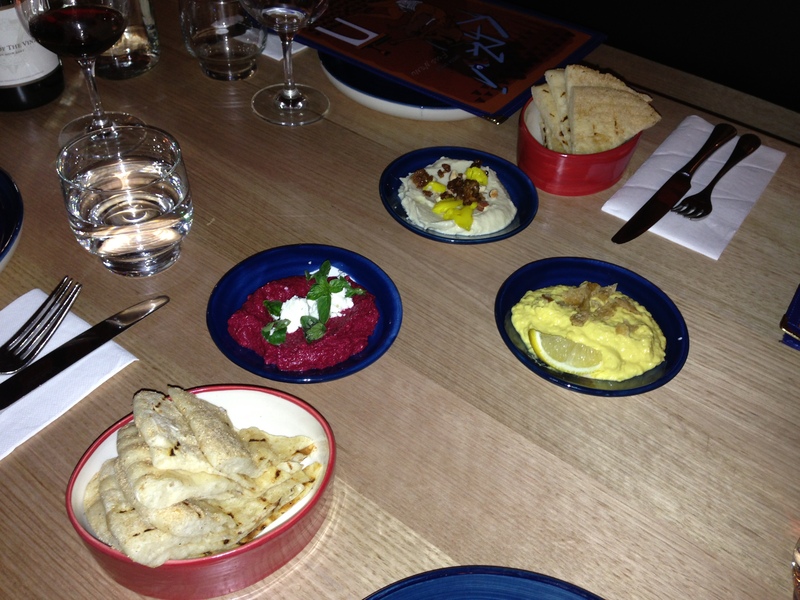 Since being there, there have been a few reviews in the papers that give Gazi a good write up. I wasn’t blown away by the food, but I’m considering going again. As I said, I went in there with mixed feelings, got some really great food but also a terrible side dish. So it’s neither here nor there for me. Previous PostJacques Reymond… over overindulgence…Next PostRevisiting La Luna Bistro… Yay!